Made to last, the 10-pc. 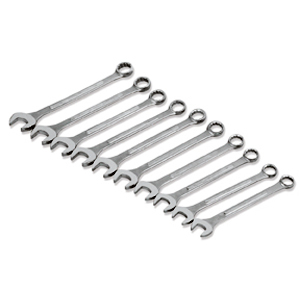 SAE Jumbo Combination Wrench Set by Extreme Torque is industrial grade and comes with a heavy-duty roll-up storage pouch with a sturdy carry handle. ETC wrenches have a lifetime warranty and replacements are available individually.